Study for Nqarnka, 2018 (Polymer and pigment on aluminum), 17 × 24 in; 43.2 × 61 cm. Click here for info on the fair. 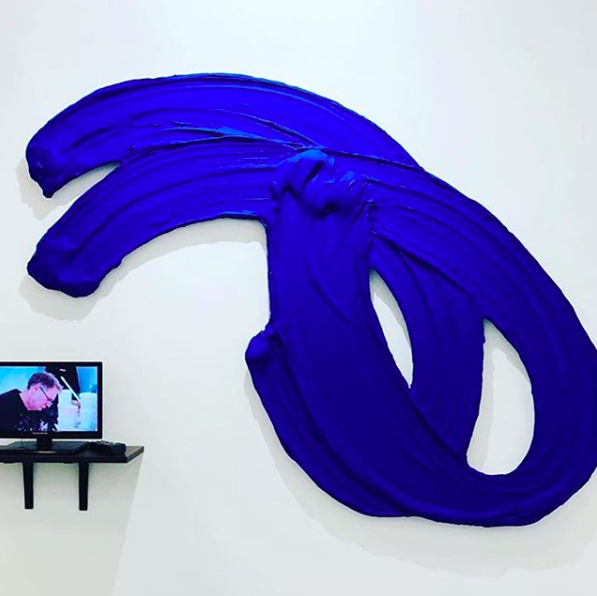 Ouma, 2017 (Polymer and pigment on aluminum), 86 × 46 inches (218.4 × 116.8 cm). For more information visit artmiami.com. Please visit the booth today - 11am to 7pm.